Swag is often a commodity that is very forgettable. Google stepped it up this year ( in addition to some high tech goodies ) by adding a low fi leave behind this year. 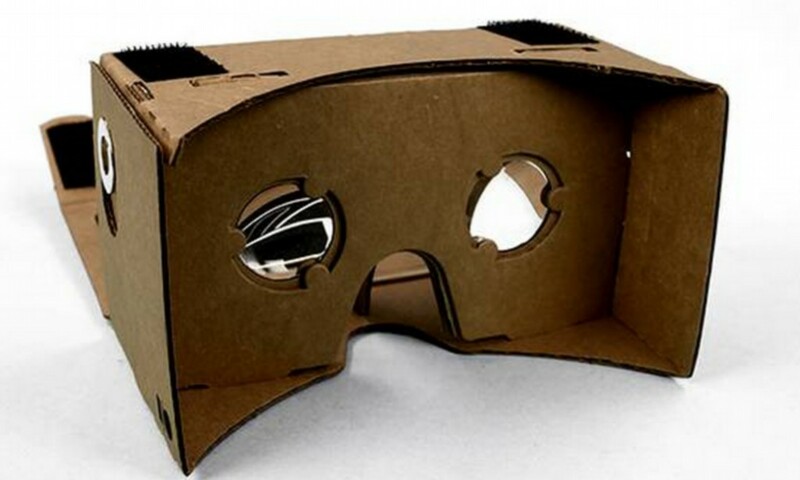 A slim packet unfolds into a cardboard virtual reality headset. An NFC chip preloads an app and you can look around a variety of google earth views. I got to try this out myself and I was rather impressed. Takeaway: If you want to leave an impression – do something different. Often a combination of digital and analog can be most memorable, but you need to have a very low barrier to entry. Kudos for google for breaking ground with something so simple but buzzworthy. If you are a platform, the content you serve is your brand strength. 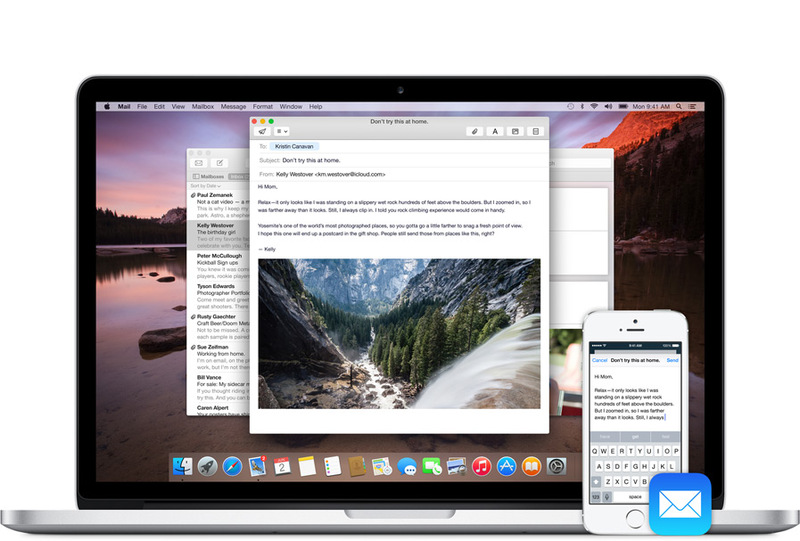 A long time ago Apple had an app for everything, but now everyone has the right apps, on multiple operating systems. What is the new point of differentiation? After all, app stores and phones are really about the apps – nothing else matters. Content is king – again. Google’s new “Play Your Heart Out Ad” is amazing. The brand transference from each artist and app to Google’s logo was very smart, and the music helps seal this campaign away from early adaptors to their new mainstream audience. Its Hip. It’s a big move away from their past ads showing power and processing speed, which really never resonated with me. This campaign shows variety, and also instantly establishes credibility – you’ll note that barely any of the app logos need to have titles. They are very recognizable. And now I associate them with the Android Ecosystem. Even as a apple user, I am very aware now that everything I could want is on Android. And I might be willing to consider a Galaxy when my contract runs out. I can see myself using these apps and thus using Android. Goal achieved. Its interesting that Google has moved further into Content, where Apple has moved into user stories and hardware lately. What makes your brand stand out? How do you tell you story? ps. I am impressed that this song was released in 2007 ! Way to be progressive Ed Banger Records & Busy P.
There is one other thing that really stands out here. When people typically talk about branding, we are taught to think in specific colors, fonts, and identity guidelines. In a media rich ecosystem that we live in today, consumers are open to seeing a brand evolve. Note in this add that their are barely any taglines, or key colors. The brand changes with each piece of content. A brand identity that is flexible and open. A brand that can become anything the user wants. Quite literally, a brand becomes the very content it helps host. What if graffiti had nothing to do with physical vandalism ? Looking back on the state of media, its hard to imagine street art without the internet. If you do a google search for Banksy you get 4.5Mresults. If you do a google search for “street art” you get 11M results. 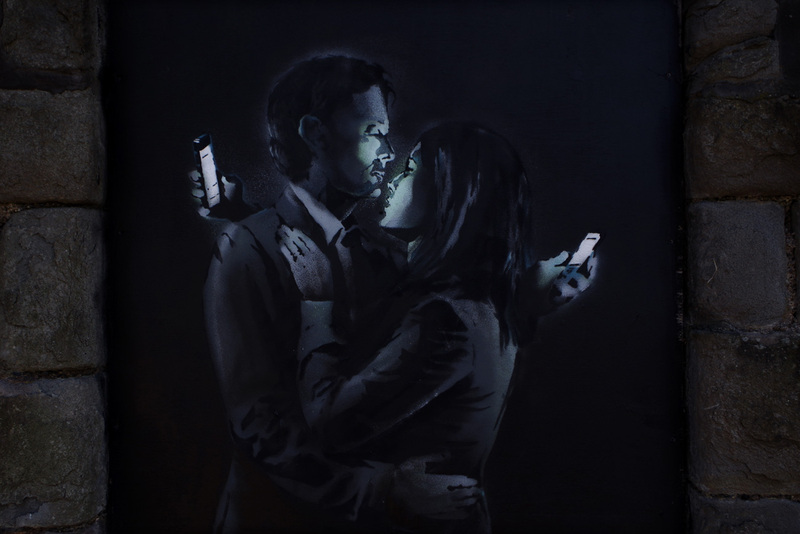 That means Banksy covers 41% of most internet searches – one guy. Maybe thats not significant, but I think its rather high. And the funny part is that his “tagging” work would not have been possible without the internet. And metaphorically, what are meta “tags” – leaving your mark on an article , page, or image. Sounds like graffiti. The web is asking to be tagged – it just looks like someone already beat us to it, way before we got wind of it. As with all great content, if you make something truly great, people will find it, resyndicate and share it, and google will index it. Create something today and share it. And while you are at it, tag it with some really good non branded keywords to get it out there. In todays world, your work has to be created with soul, and marketed with science. In the mid 90’s the bottle water wars took off between coke and pepsi. Following the environmental effects of the huge uptick in plastic usage upon its acceptance, some niche markets took to creating more permanent containers – True2o considered something else. Instead of their product offering ending when its delivered to the store, they reclaim their bottles and thus turn water into a service model. Ironically, its a small modification to the larger water cooler days that have almost disappeared across silicon valley. In addition to it being better for the environment, it benefits both the manufacturer and consumer. The manufacturer saves on raw materials, and the consumer doesn’t really experience much change. Especially if they are getting True2o from their employer, which is a big part of their roll out strategy. It raises the question what happens to a brands equity as it moves from being a product to a service? As a product becomes a commodity, a brand needs to differentiate itself from the competition. If within a incremental price point, sustainability or a brand’s mission can be valuable enough to a consumer to give it a try. Today’s consumer loves a brand with a conscious. As a parent, we are always faced with a choice about how and when to introduce certain technologies to our children. I know that technology is no longer a skill, but a part of our culture and foundation for any type of work. However, the iPad can either be part of a passive entertainment device or a portal for learning. What I love about the Osmo app is that is allows for traditional analog toys ( that often facilitate tactile play and spatial thinking ) to be activated on the ipad, combining the best of both worlds. From a design perspective, it also opens up a new realm of designer user interfaces, which could really open up a lot of verticals / industries. From a product marketing perspective and product engineering perspective, it makes me wonder why more app developers don’t take into account sensors and peripheral ports in their product roadmap. This year especially, we will see a huge array of smart objects, IOT (Internet of Things), and contextual devices that enhance user experience and better performances of existing networks. Think bigger & learn from other discipline areas. Where one person sees a toy, other people see a design solution for a new field that has never been discussed. Innovation is everywhere, you just need to look at it from a different perspective. aside: Reminds me a of a more open source version of Siftables. Sometimes the best ideas are not only the simplest, but come from those that are approaching a problem for the first time. The so called experts in a field sometimes over-think or have clouded judgement or think too small. Only sometimes. As a strong believer in meritocracy, we have an obligation to support those ideas that truly can make a difference AND contribute to social good. This is part of a crowdfunding campaign. Doing something once is often innovative, doing it twice is disruptive. 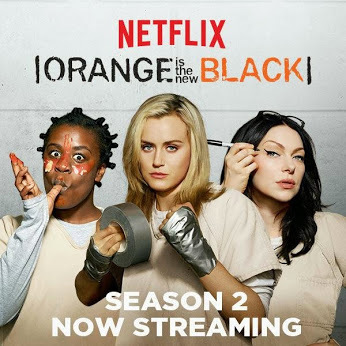 House of Cards was a smash hit, but Orange is the New Black shows that the model works, rather then just a show. After all, not too many people remember the 2nd major Netflix program Hemlock Grove. Even better, its a sequel. Whether you like the show or not, one has to watch how programming will change in the next 2-5 years. On one side we have companies like Aereo who are taking existing content and putting it online ( paid services recaptured as digital ) and then on the other side you have online SAAS models who are making original content (Neftlix, Amazon Prime, hulu+, and even Youtube ). Netflix is ten bucks a month, where Comcast might be 100 easily – that’s a huge delta. Pending strategic business development deals ( eg. Apple + Comcast ) and changes in copyright laws / policy (Aereo getting sued ) this space will be very heated and interesting to watch for the short and long term. Content is expensive to create, and opportunity costs for who loses out on the syndication make this an very strange space. Content distribution is a big part of why people are concerned over the Net Neutrality legislation as well. If the best content is not allowed to be accessed and shared, it doesn’t really matter who good the content is. Who is at the strategic advantage here. Models are changing, and expectations are evolving. It may be just a sequel, but its part of a much bigger conversation. And with that, I will see if I can join the thousands of others who attempt to binge watch an online show because they can – another way this online medium has changed the user experience. Sometimes you teach people one thing when you ask them to do another. Think creatively about how you market your product or services. Making people care is the key. WWDC introduced a number of features on monday that really showed off some impressive applications of responsive user experience ( I feel like I should coin that term ). Several things stood out, but one thing in particular – “handoff.” A lot of apps were designed to run the same content in multiple browsers and device sizes but the experience always had to be saved, and then reopened in another window. The fact that you can do this in a ubiquitous way is huge. This represents a new way of working where you never have to pause or exit while transitioning between devices. Instead of responsive consumption, we can finally have responsive production. Another interesting question is if this will support cross device cookies for advertising? I could imagine if that if you could track a mobile website going to a desktop version, you could also track conversions between different iOs and web browsers for retargeting and digital ads. This could be really powerful for advertisers and marketers alike. Windows 8 created an experience that allowed for windows to be scaled across devices. 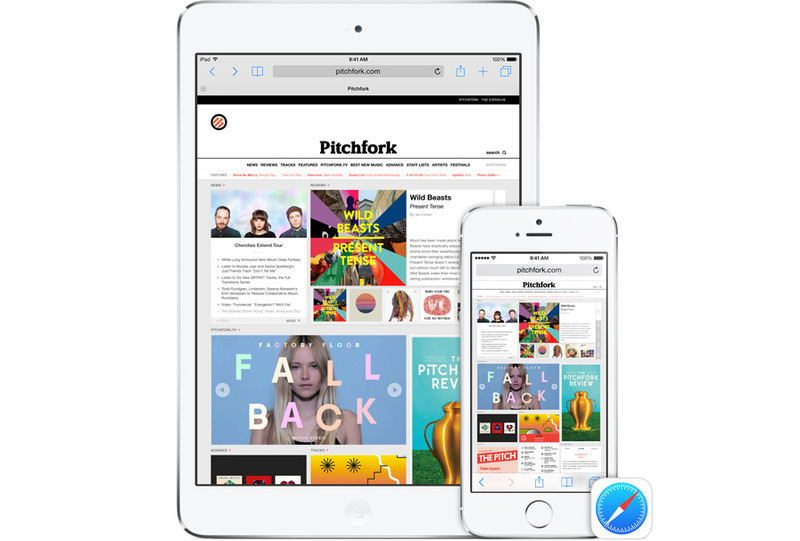 iOs has taken that to the next level where they can truly be used across devices without interruption. I cant wait for fall to come so we can try this out in person, but I am more excited to see how this changes workflows for everyday people. Gone are the days of emailing a photo to yourself, or saving something to a google doc just so you can open in at your desk. When we can actually take things with you, how will that change how we act and plan? Coke as a brand has been very successful at sharing how its brand is about getting people together and sharing experiences. For the last 5 years they have performing experimental marketing campaigns, often at the vending machine level, and then sharing those video moments on digital marketing channels to activate their base. It shows that for many brands, after one has been established, your identity can transcend branding elements / identity, and become more metaphorical about the essence or feel of the product itself. The most recent campaign requires that two coke consumers have to engage together to open the soda itself. The result of documenting this action creates user generated content, when curated appropriately tells the larger story about coke being used to bring people together for a more full life. Here is another example they came out with in the last few years that asked users to dance to get a coke. This had a bit more “viral” because it attracted crowds, thus became a larger spectacle. Although Coke has a lot of capital for developing campaigns, really any brand can come up with creative ways for users to use their product and tell that story. Their are always emotional and rational bits of a brands story. It is up to the creative and marketing team to find fresh perspectives to tell a brands story and how to engage their prospects and fans. Many brands are relying more on earned media to make waves within their community. The two main reasons for this is because consumers are tired of traditional media, but also creative content is also more sharable, and thus has a wider reach. Either way, if Coke can put a smile on your face while you are looking at their product, they are one step closer to getting you to remembering their product the next time you are faced with a choice of what beverage to buy.